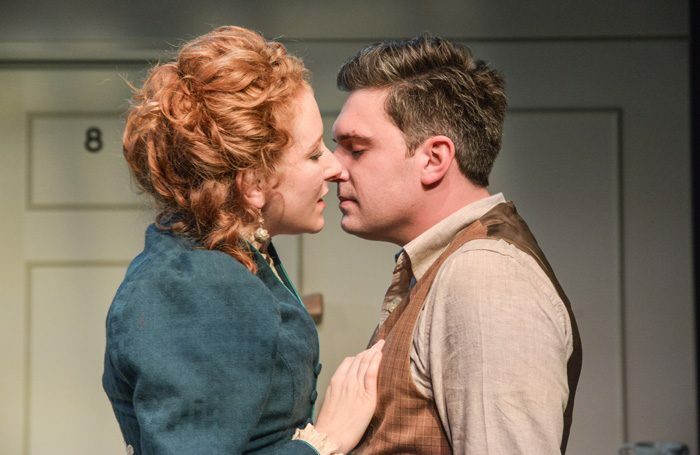 For the opening show of its 2019 season, Theatre by the Lake picks up where its 2017 production of Miss Julie left off, reuniting with London’s Jermyn Street Theatre for the world premiere of Howard Brenton’s new version of Strindberg’s classic play. The result is a wonderful piece of theatre that exposes the terrifying ways in which marital intimacy can become destructive. The shifting rhythms and tones of Brenton’s text are superbly brought out by director Tom Littler. The play opens in comic mode with James Sheldon’s tremblingly sensitive artist Adolf being amusingly patronised by David Sturzaker’s Gustav. But the stakes are soon revealed to be high: it’s as if Wilde’s Algernon and Jack are being pastiched by Nietzsche. The transition to the more ambiguous, tragic terrain of the ending is beautifully managed. Max Pappenheim’s excellent sound design is key to this. The familiar noises of a working harbour gradually morph into a menacing score of eerie horns and bells. Brenton does a fine job of reducing the distance between the late 19th-century avant-garde psyche and our own, but there are still challenges for the actors in the real-time compression of the action. Each performance is a triumph. Sturzaker’s Gustav is effortlessly suave while revealing more and more of the ice within. Sheldon’s Adolf is pathetically believable as the artist losing his moorings. Dorothea Myer-Bennett, as Adolf’s wife Tekla, is utterly compelling. She brings deep emotional and intellectual complexity to the slightest of lines. In her hands, Tekla’s evolving understanding of the unfolding revelations is absolutely gripping.